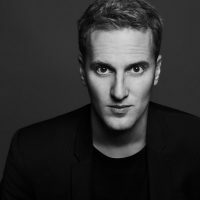 Sven Sallaerts is a hospitality entrepreneur who has the intent to change the industry and create the hospitality of the future. He has developed concepts, worked and lived in Madrid, San Fransisco and Southern Africa. He has a bachelor degree in Hotel Management, Master of science in Innovative Hospitality Management (ESADE) and Leadership and Management (Berkeley University). Sven started Younique Concepts in 2016 and developed two concepts in Amsterdam: 'De Tulp' and 'Pesca'. Pesca, an innovative fish-concept, won several Hospitality awards and will be growing rapidly the next coming years. The next outlets are planned in Amsterdam and Berlin in 2019.